The three visible signals of climate change, viz., increase in global average temperature, change in precipitation patterns and rise in sea levels, are known to cause a significant impacts on regional hydrology, at different spatial and time scales. Processes such as streamflow and evapotranspiration and magnitudes and frequencies of hydrologic extremes of floods and droughts are likely to be affected by climate change. A commonly adopted procedure for assessing the climate change impacts on hydrology is to use the projections provided by the global scale General Circulation Models (GCMs) and downscale the hydrometeorological variables to regional scales, and execute the distributed hydrologic models to obtain hydrologic projections. Significant uncertainties are imparted due to use of several models at different spatial and time scales. Quantification of such uncertainties at all levels – from the choice of climate models and emission scenarios to downscaling and hydrologic models – is a current area of research. This paper summarises the recent work carried out by the second author’s team on quantification and reduction of uncertainties in assessing hydrologic impacts of climate change. Both aleatory (irreducible) uncertainties that arise from the inherent uncertainties due to randomness, and the epistemic (reducible) uncertainties that are characterised by lack of knowledge are addressed. Applications to impacts on streamflow, evapotranspiration, pluvial and fluvial floods and droughts are discussed. A brief discussion on the changing frequencies of concurrent extremes of droughts and heatwaves in India is also provided. AghaKouchak, A., L. Cheng, O. Mazdiyasni and A. Farahmand (2104), Global warming and changes in risk of concurrent climate extremes: Insights from the 2014 California drought. Geophys. Res. Lett. 41, 8847–8852. Chandra Rupa, R., and P.P. Mujumdar (2018), Quantification of uncertainty in spatial return levels of urban precipitation extremes, ASCE Journal of Hydrologic Engineering, 23(1): 04017053, doi: 10.1061/(ASCE)HE.1943-5584.0001583. Chandra Rupa, R., Ujjwal Saha and P.P.Mujumdar (2015), Model and parameter uncertainty in IDF relationships under climate change, Advances in Water Resources, 79, 127-139. Chawla, I. and P.P. Mujumdar (2015), Isolating the impacts of land use and climate change on streamflow, Hydrol. Earth Syst. Sci., 19, 3633-3651, doi:10.5194/hess-19-3633-2015. Chawla, I. and P.P. Mujumdar (2018), Partitioning uncertainty in streamflow projections under nonstationary model conditions, Advances in Water Resources, 112, 266-282 (https://doi.org/10.1016/j.advwatres.2017.10.013). Deletic,A., C. Dotto, D. Mccarthy, M. Kleidorfer, G. Freni, G. Mannina, M. Uhl, M. Henrichs, T. Fletcher, W. Rauch, J. Bertrandkrajewski and S. Tait, (2012), Uncertainty in environmental and hydrological mathematical modelling, Physics and Chemistry of the Earth, 42 (42), 3-10. Fowler, H., S. Blenkinsop and C. Tebaldi (2007), Review linking climate change modelling to impacts studies: Recent advances in downscaling techniques for hydrological modelling, Int. J. Climatol., 27, 1547–1578. Ghosh, S. and P.P.Mujumdar (2007), Nonparametric methods for modeling GCM and scenario uncertainty in drought assessment, Water Resources Research, 43, W07405, doi:10.1029/2006WR005351. Ghosh, S., D. Raje and P.P.Mujumdar (2010), Mahanadi streamflow: Climate change impact assessment and adaptive strategies, Current Science, 98(8), 1084-1091. (Pub : Indian Academy of Sciences, Bangalore). Gosain, A.K., S. Rao and D. Basuray (2006), Climate change impact assessment on hydrology of Indian river basins, Current Science, Special Section: Climate Change and India, 90, 3, 346-353. Hao, Z., A. AghaKouchak and T.J. Phillips (2013), Changes in concurrent monthly precipitation and temperature extremes. Environ. Res.Lett. 8, 34014. Hegerl, G. C., H.Storch, and K. Hasselmann (1996), Detecting greenhouse-gas induced climate change with an optimal fingerprint method, J. Clim., 9, 2281–2306. IPCC (2001), Climate Change 2001 - The scientific basis, contribution of Working Group I to the third assessment report of the Intergovernmental Panel on Climate Change (IPCC), Ed. by Houghton, J.T., Y. Ding, D. J. Griggs, M. Noguer, P. J. van der Linden, X Dai, K. Maskell and C. A. Johnson, Cambridge University Press, Cambridge, UK. IPCC (2010), Meeting report of the Intergovernmental Panel on Climate Change (IPCC) expert meeting on detection and attribution related to anthropogenic climate change. Bern, Switzerland. : Univ. of Bern IPCC Working Group I Technical Support Unit. Jones, P. D., J.M. Murphy, and M. Noguer (1995), Simulation of climate change over Europe using a nested regional-climate model, I: Assessment of control climate, including sensitivity to location of lateral boundaries, Q. J. R. Meteorological Society, 121, 1413-1449. Kannan, S., S.Ghosh, V.Mishra and K.Salvi (2014), Uncertainty resulting from multiple data usage in statistical downscaling, Geophys. Res. Lett., 41, 4013-4019, doi:10.1002/2014GL060089. Leonard, M., S. Westra, A. Phatak, M. Lambert, B. van den Hurk, K. McInnes, J. Risbey, S. Schuster, D. Jakob, and M. Stafford-Smith (2014), A compound event framework for understanding extreme impacts, WIREs Clim. Change, 5(1), 113–128. Meenu, R., S. Rehana and P.P.Mujumdar (2013), Assessment of hydrologic impacts of climate change in Tunga-Bhadra River Basin, India with HEC-HMS and SDSM. Hydrological Processes, 27(11), 1572-1589. Mondal, A. and P.P. Mujumdar (2012), On the basin-scale detection and attribution of human-induced climate change in monsoon precipitation and streamflow, Water Resources Research, 48, W10520. Mondal, A. and P.P. Mujumdar (2015a) On the detection of human influence in extreme precipitation over India, Journal of Hydrology, 529, 1161-1172. Mondal, A. and P.P. Mujumdar (2015b) Return levels of hydrologic droughts under climate change, Advances in Water Resources, 75,67-75. Mondal, A. and P.P. Mujumdar (2015c) Modeling non-stationarity in intensity, duration and frequency of extreme rainfall over India, Journal of Hydrology, 521, 217-231. Mondal, A. and P.P. Mujumdar (2016), Detection of change in flood return levels under global warming. J. Hydrol. Eng., 21(8), 04016021, 10.1061/(ASCE)HE.1943-5584.0001326, 04016021. Mujumdar P. P. and D. Nagesh Kumar (2012), Floods in a changing climate: Hydrologic modeling, International Hydrology Series, Cambridge University Press, Cambridge, U.K., ISBN-13: 9781107018761. Mujumdar, P. P. and S. Ghosh (2007), Assessment of impact of global climate change on precipitation at regional scales. Hydrology Review, INCOH Roorkee, 22, 21-36. Mujumdar, P. P. and S. Ghosh (2008), Modeling GCM and scenario uncertainty using a possibilistic approach: Application to the Mahanadi River, India, Water Resources. Research, 44, W06407, doi:10.1029/2007WR006137. Narashimhan, B., S.M. 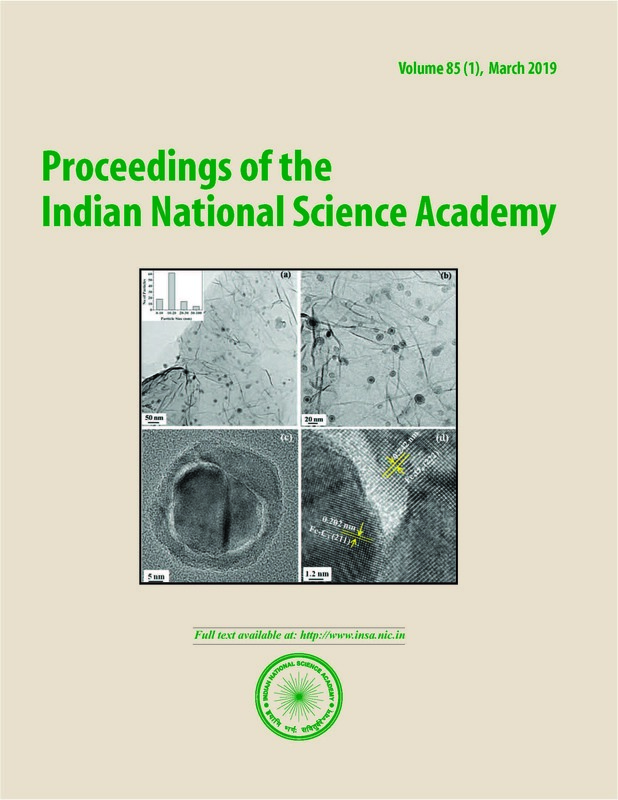 Bhallamudi, A.Mondal, S.Ghosh and P.P.Mujumdar (2016), Chennai floods 2015 – A rapid assessment, Technical Report, Interdisciplinary Centre for Water Research, IISc Bangalore, May 2016 (available online, http://www.icwar.iisc.ernet.in/wp-content/uploads/2016/06/Chennai-Floods-Rapid-Assessment-Report.pdf). Raje, D. and P.P. Mujumdar (2010b), Hydrologic drought prediction under climate change: Uncertainty modeling with Dempster-Shafer and Bayesian approaches. Advances in Water Resources, doi: 10.1016 / j.advwatres.2010.08.001 (Pub: Elsevier, Netherlands. Refsgaard, J., B. Storm and T. Clausen (2010), Système Hydrologique Europeén (SHE): Review and perspectives after 30 years development in distributed physically-based hydrological modelling, Hydrol Res, 41, 355–377. Santer, B.D. et al. (1995), Ocean variability and its influence on the detectability of greenhouse warming signals. Journal of geophysical research, 100(C6), 10693-10710. Sengupta, A. and M. Rajeevan (2013), Uncertainty quantification and reliability analysis of CMIP5 projections for the Indian summer monsoon, Current Science, 105, 12, 1692-1703. Sharma, S. and P.P.Mujumdar (2017), Increasing frequency and spatial extent of concurrent meteorological droughts and heatwaves in India, Scientific Reports (Nature Publishing Group), 7,15582, doi:10.1038/s41598-017-15896-3. Trenberth, K. E., A. Dai, G. van der Schrier, P. D. Jones, J. Barichivich, K. R. Briffa, and J. Sheffield (2013), Global warming and changes in drought, Nat. Clim. Change, 4, 17–22. Wilby, R., C. Dawson and E. Barrow (2002), SDSM - A decision support tool for the assessment of regional climate change impacts. Environmental Modelling & Software, 17, 147–159.